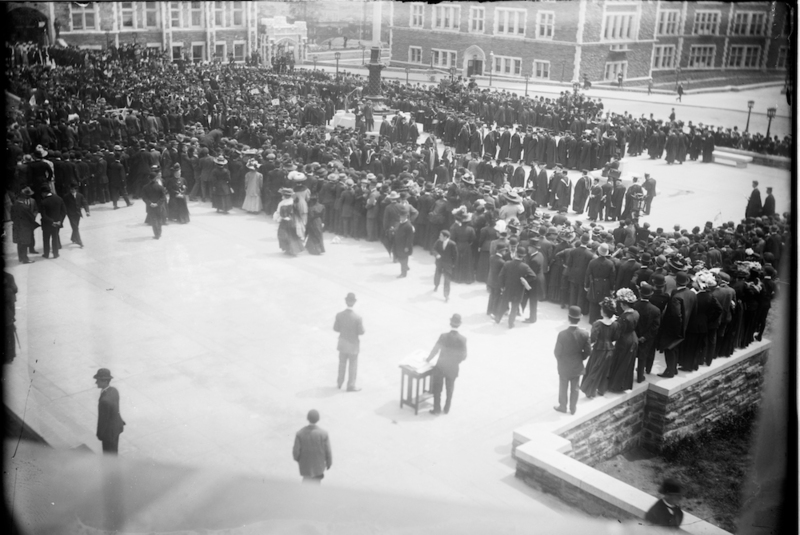 The dedication of the City College of New York campus in 1908. Image courtesy of Library of Congress. Going to college in the city seems so normal now that it’s difficult to comprehend that it once represented a radical shift not only in the location of universities, but also in their ideals. A 1950 photo of the downtown brewery that housed the University of Newark before and several years after it officially became part of Rutgers University in 1946. 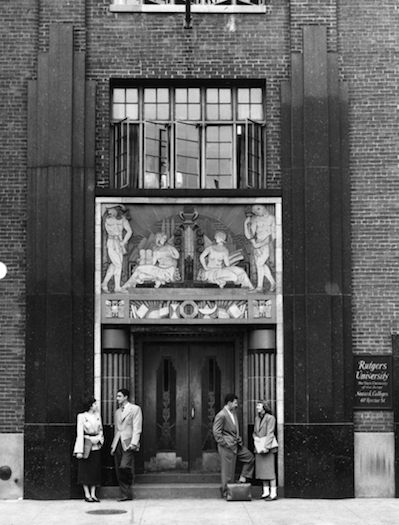 Image courtesy of Rutgers University—Newark Library. Urban colleges struggled to overcome the handicap of their locations. Columbia University, for example, moved three times to escape the encroaching city. In 1897, the new campus at the then-largely-rural Morningside Heights area in northern Manhattan was bounded by walls, with many trees planted inside, to isolate students from the urban growth that would eventually surround the school. Campuses with large numbers of commuters initiated a range of programs to “Americanize” students and get them to move beyond the culture of their working-class and immigrant neighborhoods. However, universities in cities also took advantage of the opportunities the city offered for research, teaching, and collaborations with local museums and cultural institutions. After World War II, federal and state governments increasingly saw college education as critical, a view reflected in the G.I. Bill and the massive expansion of state universities. College attendance in America grew dramatically, from 1.5 million in 1940 to 2.7 million in 1950, 3.6 million in 1960, and 7.9 million in 1970. By the 1960s, government officials and civil rights leaders also sought to expand access to higher education for low-income students in order to enable poor people to move into the middle class. Two-year community colleges opened across the country, largely in cities. City University of New York inaugurated “open enrollment,” guaranteeing that any high school graduate could attend a CUNY institution. But even though the higher education landscape was changing dramatically, the term “urban university” still bore a stigma as low-status institutions that enrolled large numbers of local commuter students seen as socially unrefined and academically weak. As a result, “urban university” became a low-status label, which many universities in cities tried to avoid. In 1977, the Association of Urban Universities, which was founded in 1914, voted itself out of existence—reflecting the resistance of its members to its own name. Then, in the last 25 years or so, higher education’s longstanding ambivalence about urban students and colleges evaporated. As many central cities have revitalized dramatically, growing numbers of upper-middle-class people have chosen to live there. In addition, cities appeal more and more to relatively affluent young people who grew up in homogeneous low-density suburbs. Cities are now “cool,” and the kind of worldly education they offer is in demand. As students and schools have changed, the once controversial innovations pioneered by colleges in cities have prevailed. City institutions pioneered the democratization of undergraduate education, and universities across the country now strive to enroll large numbers of the kinds of “urban students,” including immigrants and minorities, once viewed with deep skepticism by many in the academy. It was urban colleges, particularly municipal institutions like City College and Hunter College, that began the once-controversial practice of providing college to commuters who could not afford to live away from home while in school. Today, the overwhelming majority of college students commute. Urban colleges also initiated programs, controversial at the time, for adults and part-time students, including evening classes. Today, adult, part-time, and evening courses are nearly universal in state universities and widespread in private institutions. The broad access to college that was initiated by innovative city institutions is now central to the overall mission of American higher education. Urban colleges also changed curriculums and research agendas by developing a commitment to community-based research, taking advantage of the extensive resources of the city, and encouraging the study of local problems and policy issues. This kind of research is now widely practiced. The Engagement Scholarship Consortium, founded in 1999, encourages all universities to do research that is important to their communities. Its member institutions are located in cities, towns, and rural areas. Relatedly, service learning and community engagement by college students has become a central focus of American higher education—vigorously championed by organizations like the National Society for Experiential Learning and federal government agencies like the Corporation for National and Community Service. This is another area pioneered by the so-called urban colleges. The following year, Carnegie Mellon Professor Richard Florida published a book arguing that economic development depended on a “creative class” and that universities were “a key institution of the Creative Economy.” Florida re-envisioned the city as a fountain of economic growth and intellectual activity, placing the university—and its knowledge—at the center. Universities have become key entities for economic development in the post-industrial technology economy, not just in inner cities but also across the nation. Old prejudices about the urban university are effectively dead. The purpose of colleges and universities—and undergraduate education itself—are still widely debated. Many people are deeply critical of American higher education. 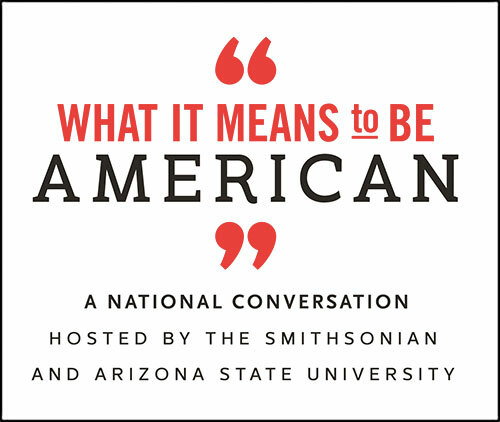 These conditions make it important to understand the history and value of college in the United States. Today, access to college makes it possible for millions of Americans to improve their socio-economic status and to live richer lives. Many do so while living at home, working, and attending part-time. Colleges teach traditional-aged students and adults of all ages, both full-time and part-time, including many minorities, immigrants, and people from low-income families, in degree and non-degree programs. Colleges play an ever greater role in our nation’s economy. And college students engage extensively in experiential learning, developing work skills and a commitment to civic responsibility. All of these conditions began many years ago, in universities in cities. Whatever the deficiencies of American colleges, we must not forget how profoundly they serve society—and how those practices emerged initially in urban institutions. Steven J. Diner is University Professor at Rutgers University-Newark, where he served as chancellor from 2002 to 2011. He is the author of Universities and Their Cities: Urban Higher Education in America. Primary Editor: Lisa Margonelli. Secondary Editor: Siobhan Phillips.